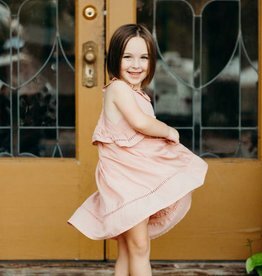 Elizabeth Cate is a Tennessee based clothing brand for stylish mini fashionistas. Our collections are described as being southern contemporary mixed with a hint of european vintage and sophisticated flare. Each piece is designed to allow every little girl who puts on our clothing to be age appropriate and sweetly sophisticated. We want her to be able to show her personality while maintaining style and grace. We are located in Franklin, TN, and sold in independent retailers worldwide from the United States and internationally. For a list of our stockists, please see our Store Locator page. We have been steadily growing since Fall of 2013, and are excited to take each customer on the journey with us!